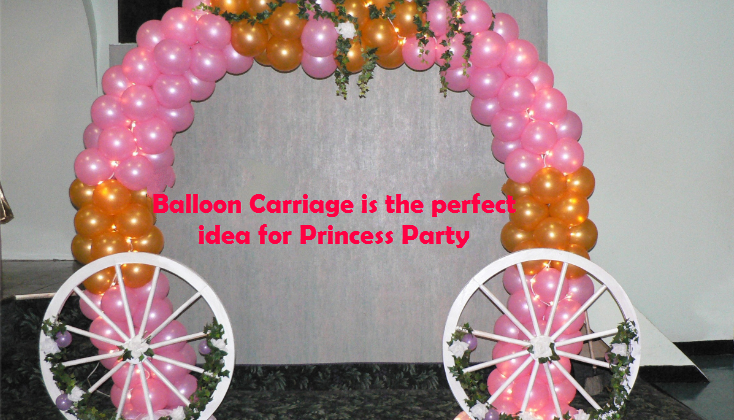 If you are planning to throw a memorable party for your loving princess this season, then Balloon carriage is one of the best ways to surprise him. This will not only make her day but will make her feel like a princess too. Your party guests would definitely feel surprised when they will see your daughter coming in the princess’ dress on a Balloon carriage. She would become the talk of the day. It is one of the perfect party ideas for your princess. Well, you would think that it would be difficult for you to make a balloon carriage for your daughter. Truly, not. It is quite easy and a fun-loving task. When you start inflating colorful balloons, you would feel that you are almost done with your balloon carriage. The first and the most important step is to bring a round center table and drape it with the shiny and glossy cloth. After this first step, inflate balloons and give them the shape of an arch. It is better to start from one corner of the table and complete the arch till the opposite end. Likewise, you can create two long arches. Allow these arches to meet at a central point in the air. You can use colorful balloons and make your arch as appealing as possible. To add more effects, you can color the balloons and write the name of your princess in a very stylish manner. Now bring two wheels or rims and attach them to the base of the table as if it is a car or a bike. You may use four wheels or 3 wheels or 2 wheels according to the size of your table and your design. Now allow your darling daughter to sit on the table in an elegant manner. Dress her smartly so that she looks like a real princess. To add more effects, you may manually or automatically move the wheels and take a long round of the party area. This will make your daughter feel special and the center of attraction of the day. You can change the style of an arc and give them the shape of hearts as well. Rest of the process of creating a balloon carriage would remain. You just have to inflate the balloons and arrange them in the shape of a heart. Your daughter is the most-precious gift of God for you. 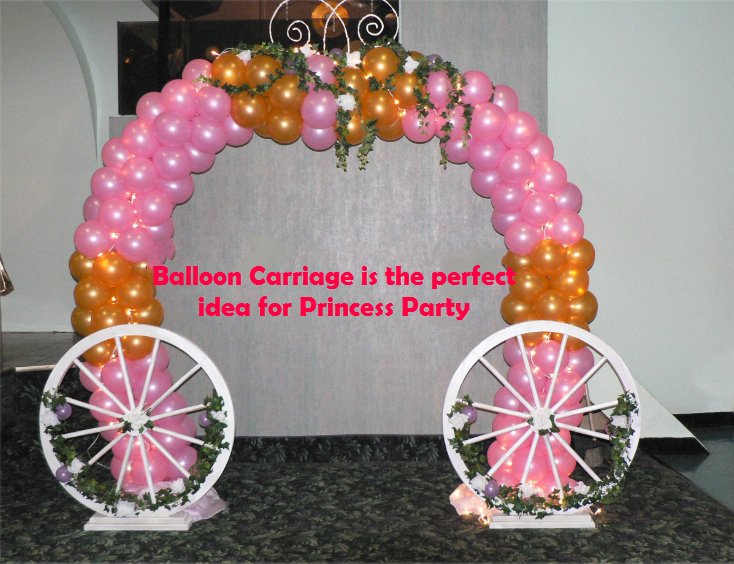 You can create this balloon carriage for your daughter’s birthday, or you may use it for her wedding as well. Most of the wedding planners are creating this balloon carriage to take the bride from the entrance area to the wedding area. There are many other creative areas that you can use this balloon carriage. When you give your daughter this beautiful surprise, we hope she will remain stunned and like the beautiful creation of yours’.